well - we made it though wilma. thanks for the well wishes. it made landfall about 2 hours south of here... just below naples. the power went out for a little while, and we lost cable/internet for most of today - but all is well. we had some serious wind and rain but thankfully no damage. 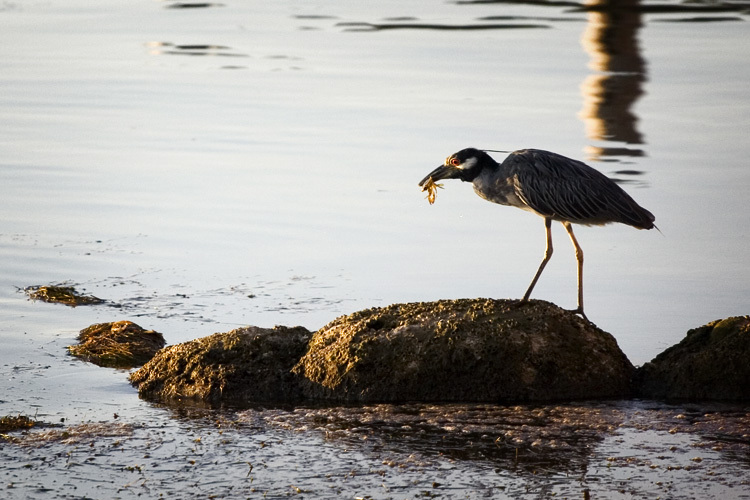 this is a yellow crested night heron with a crab in his mouth. click here for a closer shot. 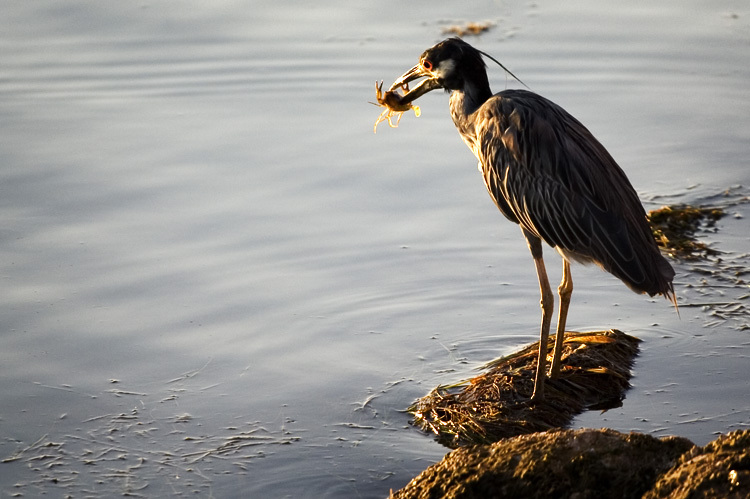 as you can see, they stab the crab with their beaks. then they shake it violently to break it into pieces.